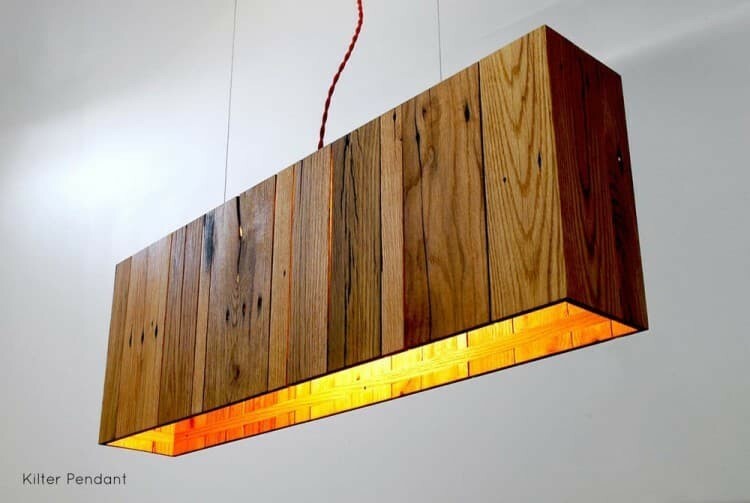 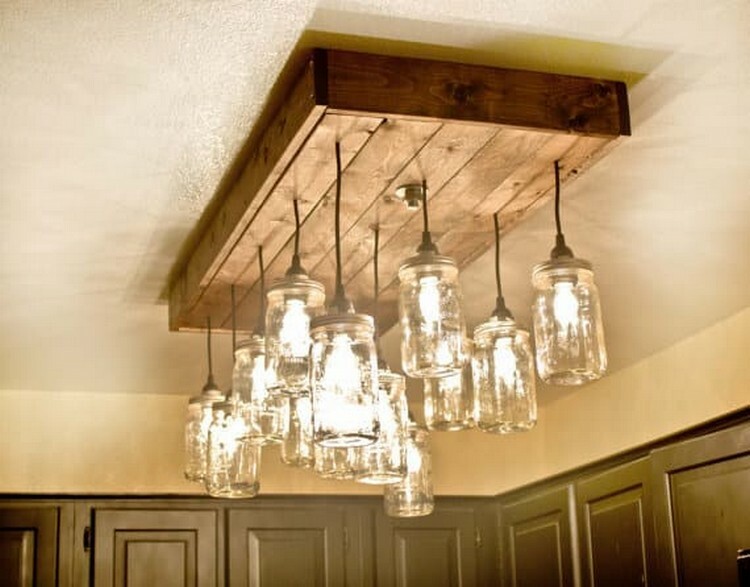 Simple, minimal and nice design for this wood oak pallet pendant light. 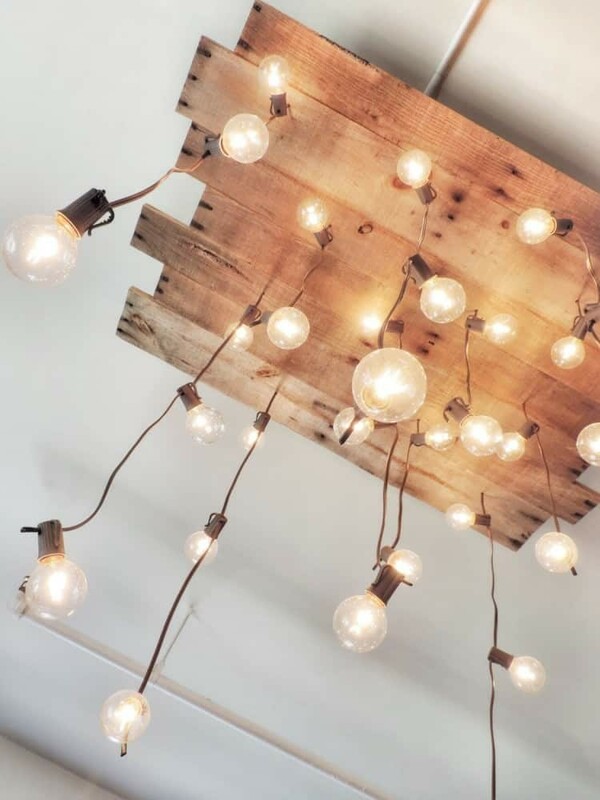 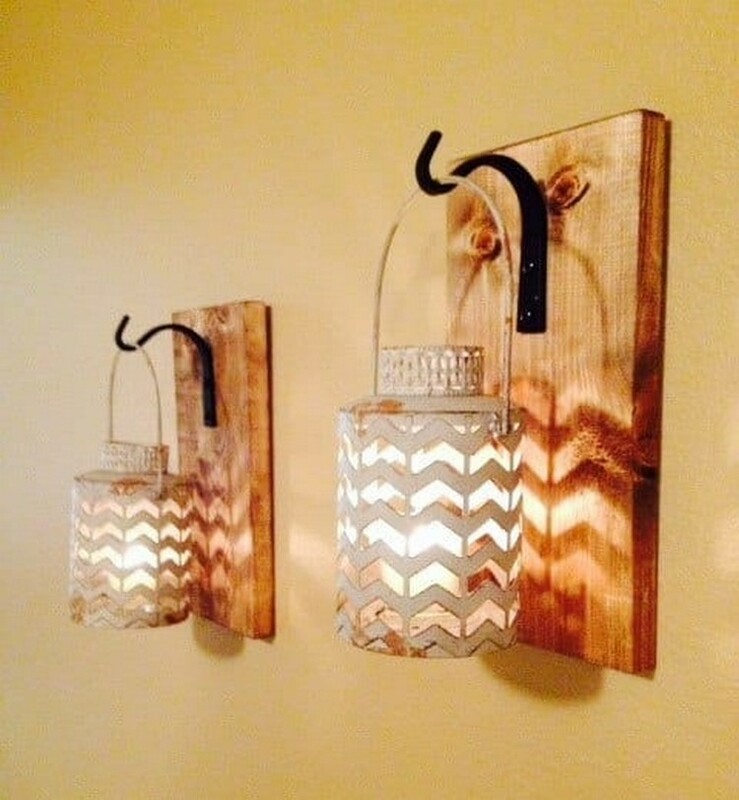 On the example they used great oak hardwood from disused shipping pallets, we let you the responsibility to find the electrical components that will offer the best light for your home interior. 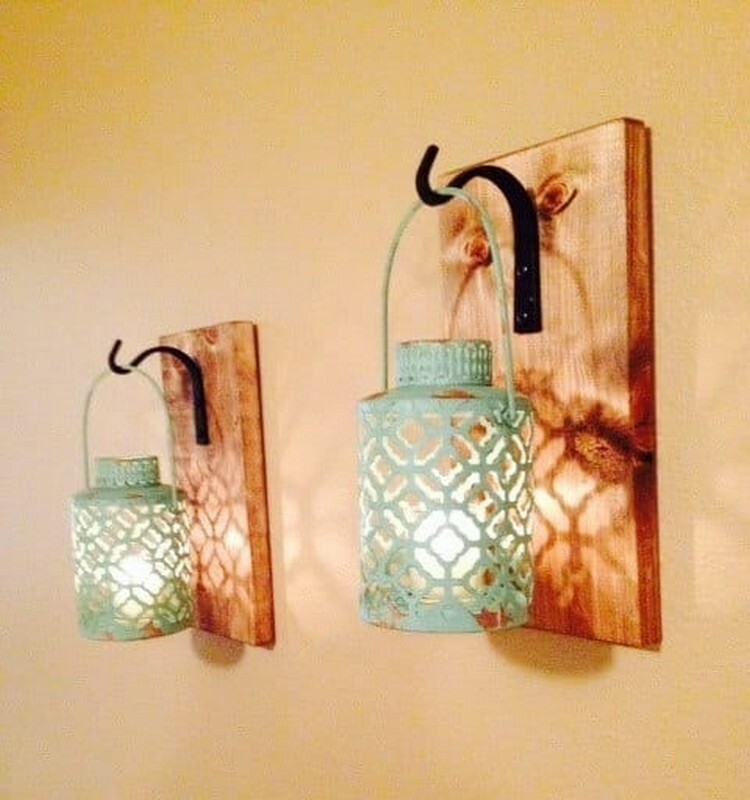 Just one of our favorite and simple idea! 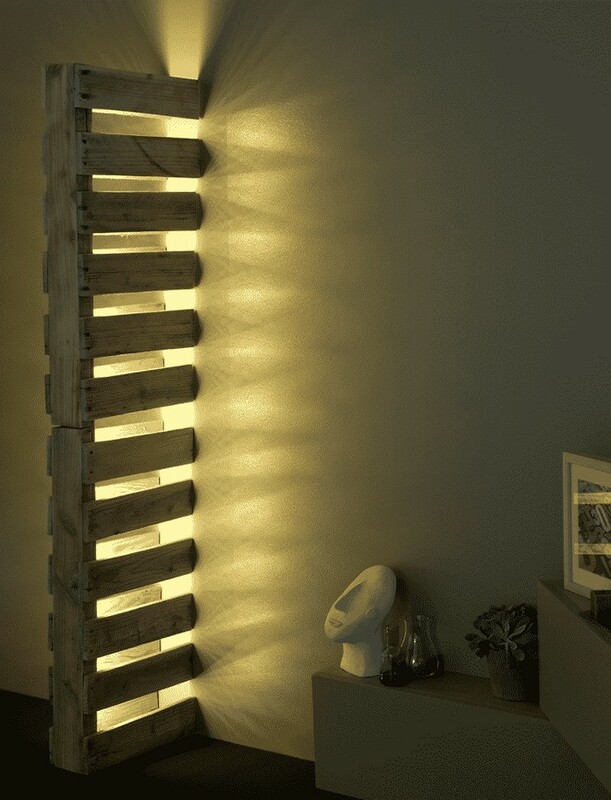 Just cut a pallet in two juxtaposed halves and add lighting system.Beautiful and creative, Superb! 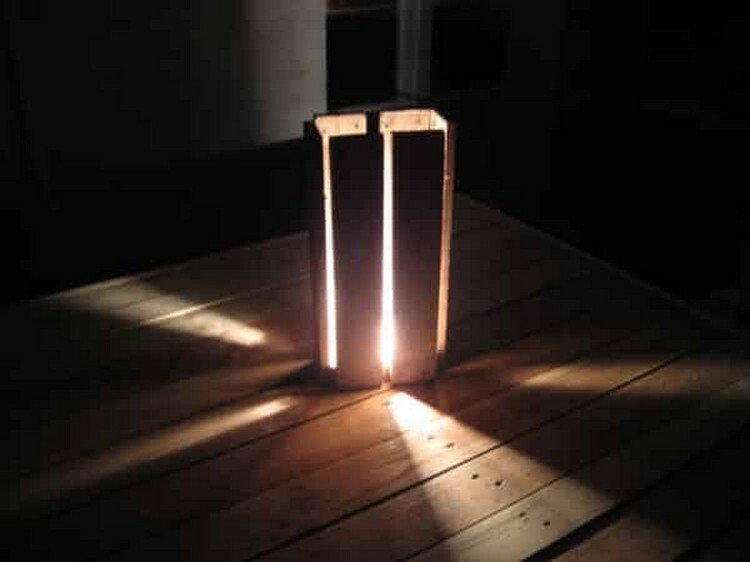 You see, almost the same light as before, but the other way :) Always so simple: a pallet cut in half, writing on the wood gives a rustic appearance to the lamp. 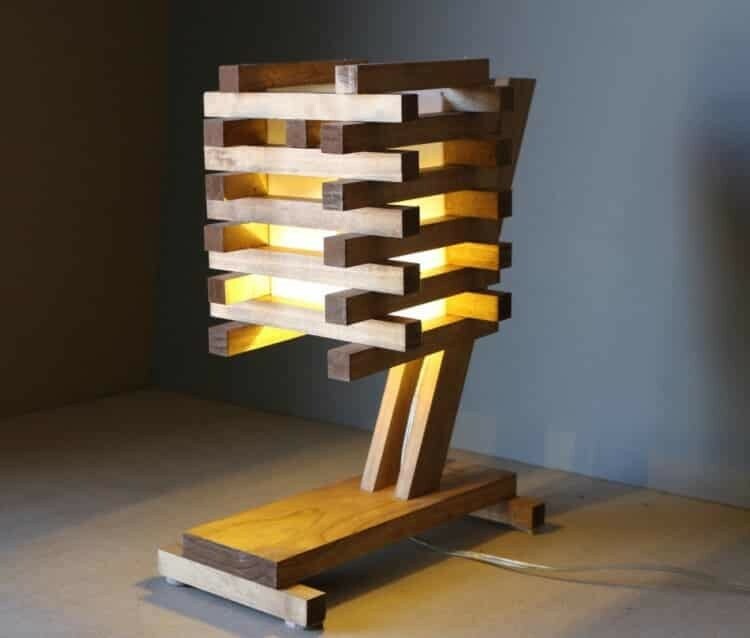 Really easy to do, only one pallet and basic electrical parts are needed... Shadows created by this lamp gives a soothing atmosphere and will be perfect in your room or accompany your reading session in the living room! 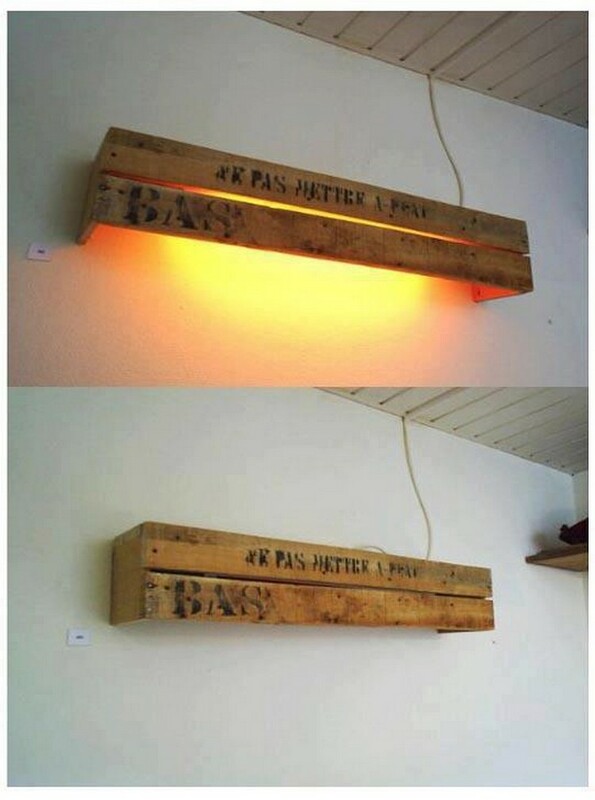 Only if you have some space in your living room... 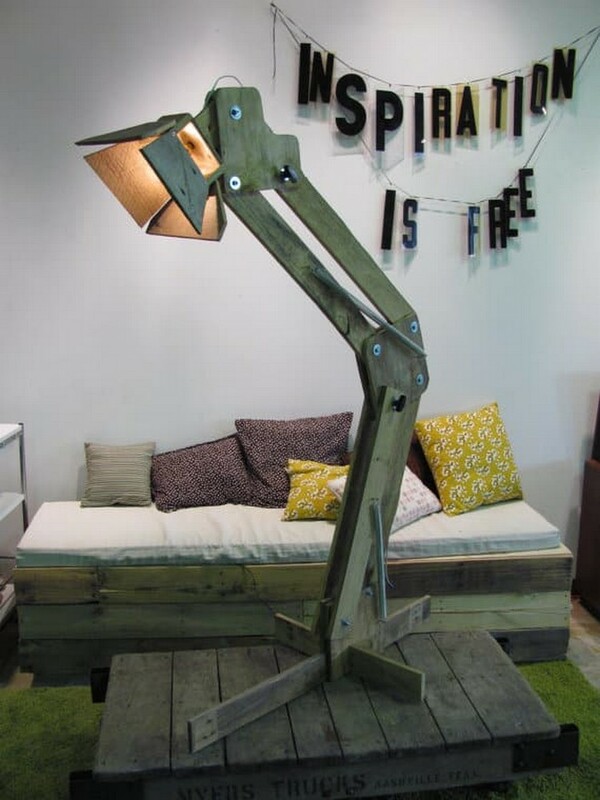 This 6 feet tall standing floor lamp made from recycled pallets can be arranged in a variety of positions, they add springs to assist in movement and has locking knobs for securing the desired position. 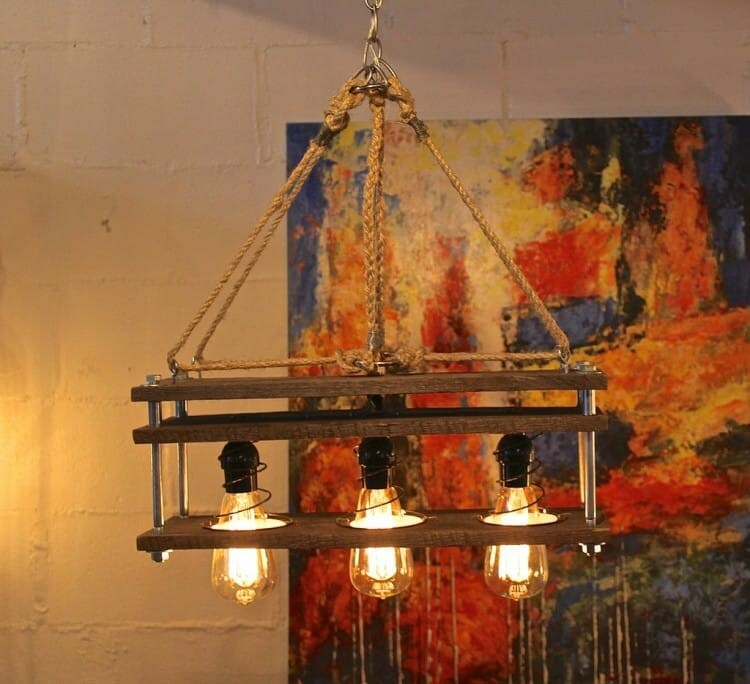 Fully adjustable, it creates an interesting appearance to any interior space.